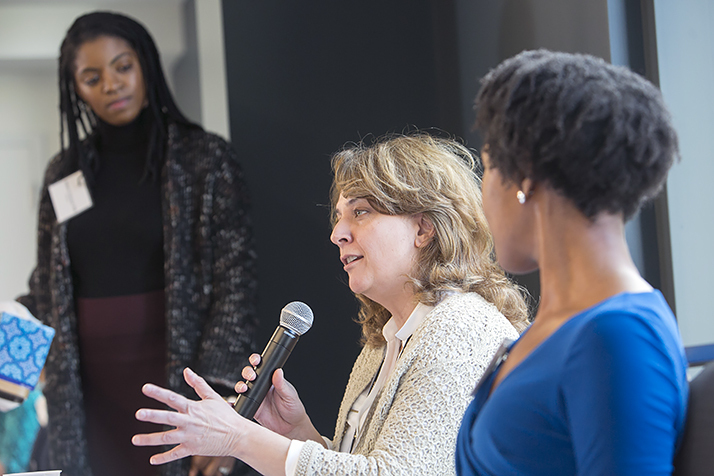 Sherilynn Black, director of the Office of Biomedical Graduate Diversity in Duke’s School of Medicine, directed the question to about 20 Duke female-identified students on Wednesday afternoon. Most raised their hands. 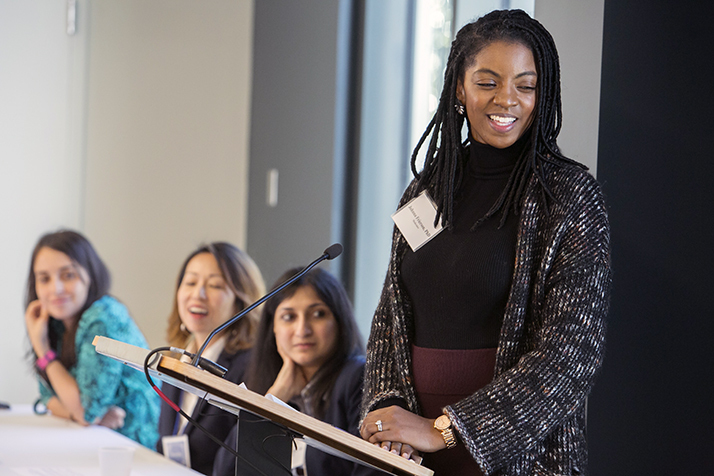 The conversation in Penn Pavilion was part of the second annual SHE (Share, Hear, Empower) Luncheon for Duke female-identified student leaders. 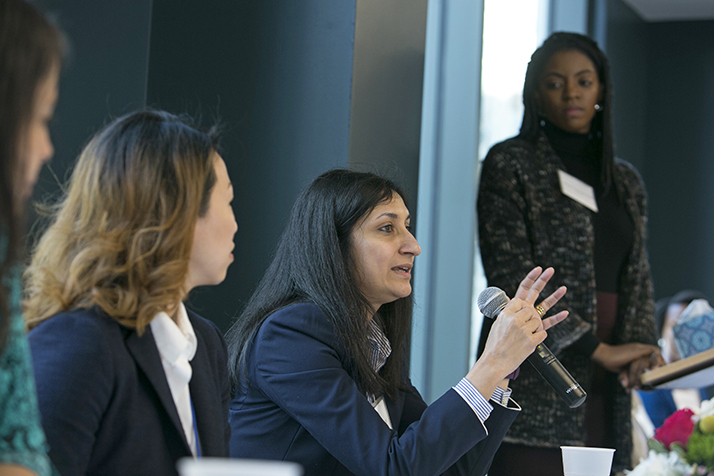 The panel discussion covered issues facing women and women of color in science, technology, engineering and math (STEM) careers. About 25 students and staff members attended the event, which was organized by the Duke Center for Multicultural Affairs. 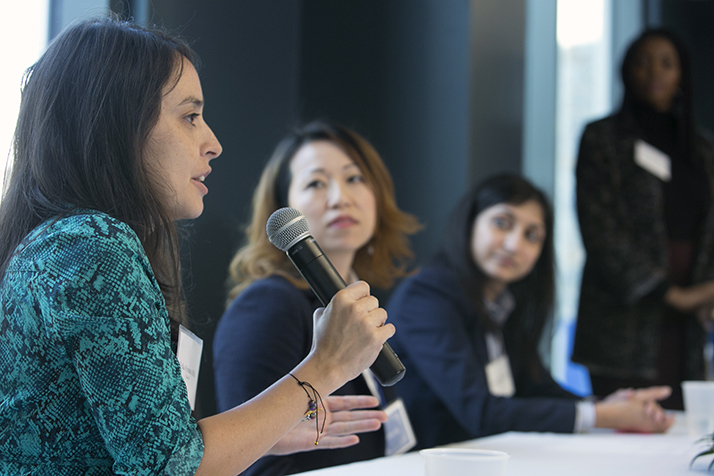 A panel of Duke employees and alumni shared advice from their career paths. 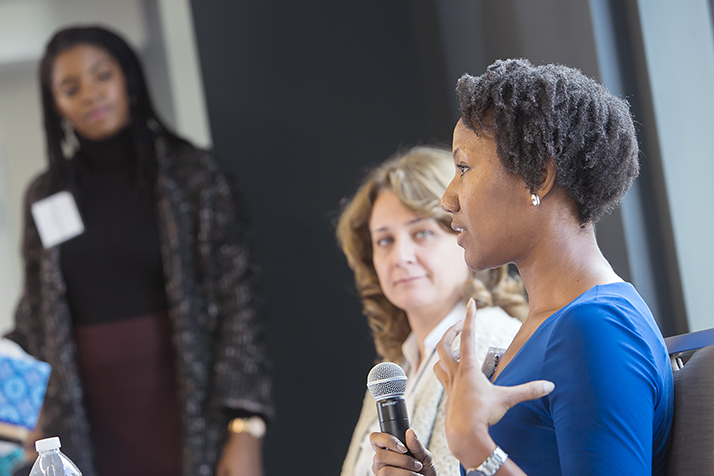 Johnna Frierson, director of diversity and inclusion in Duke’s Pratt School of Engineering, moderated the discussion. Before the event began, she reminded the audience that their academic and career goals are important and worthy of pursuit. “There is space for you,” Frierson said about women working in STEM fields. 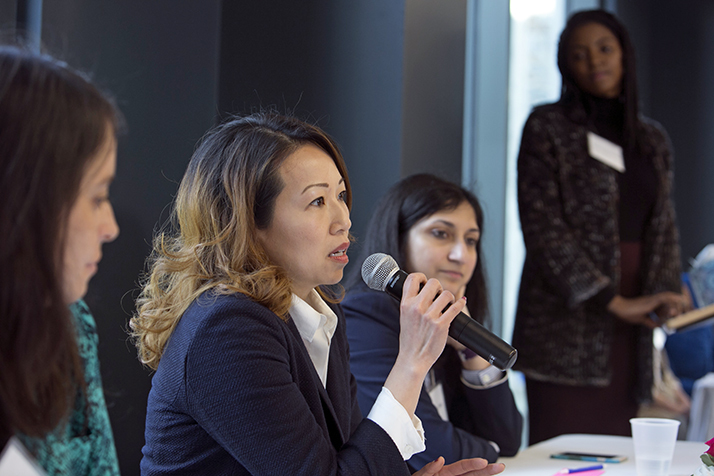 Students asked panelists about negotiating salaries, advice they would give to younger versions of themselves, how to maintain a person’s identity in the workplace, and how to confront a peer when there is a communication issue. Senior test engineer in IoT Vertical Solutions Group, Cisco Systems Inc.